As much of the country continues to thaw out from the late season blizzard earlier this week, it could be hard to comprehend that the spring season is only a few days away. Of course kids are the most eager to get outside no matter what and despite the chill in the air, spring arriving on March 20 will signal that warmer weather will help the north and east catch up to the more moderate temperatures already spreading across the south and west. When boys and girls start bouncing back to the playground, it’s important that they’re feeling amazingly comfortable as they jump, climb, slide and play. And a pair of lightweight sneakers that features a soft Skechers Gel-Infused Memory Foam insole is perfect for the season. For girls, the delightfully colorful and bright Skech Appeal – Rainbow Runner is a go-everywhere pair that’s cool, sporty and totally fun. And for boys, the athletic slip-on Skech-Train offers an easy-to-wear closure for little ones on the move. 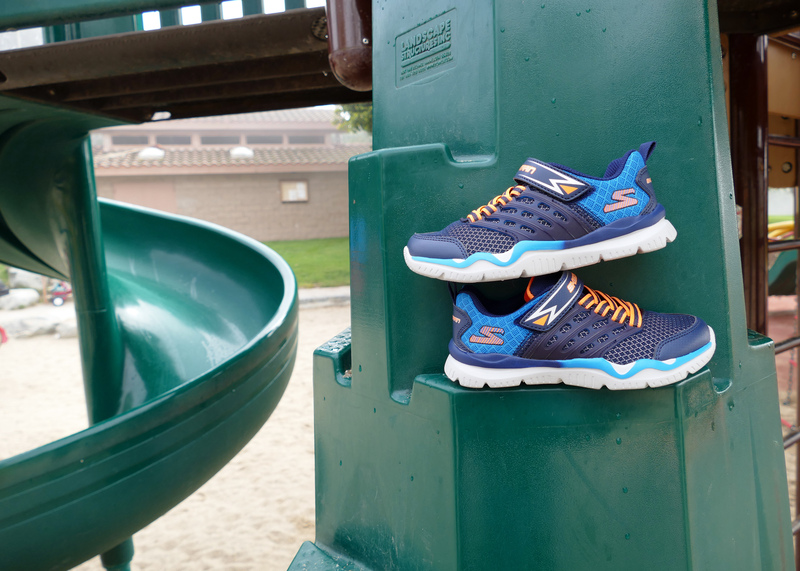 Both include our signature plush Skechers Memory Foam that kids love. 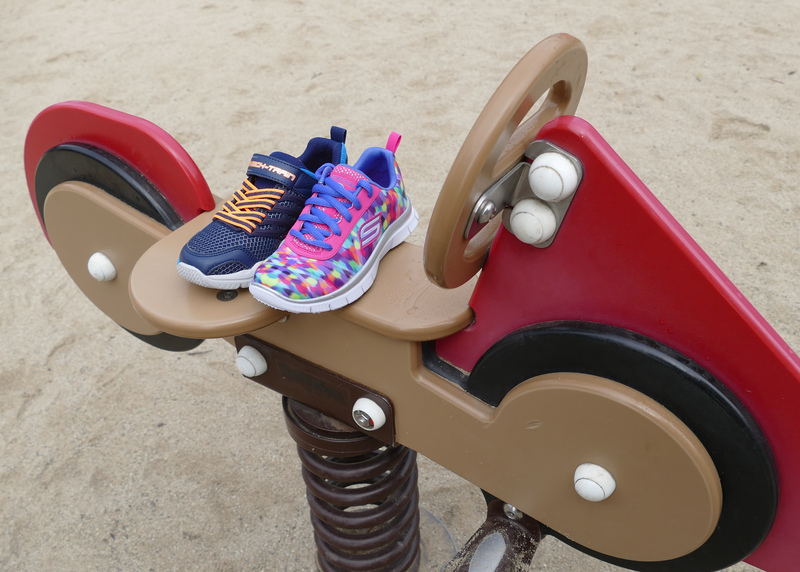 And these two are just a few super comfy options for kids that feature squishy, squashy and super comfy Skechers Memory Foam! 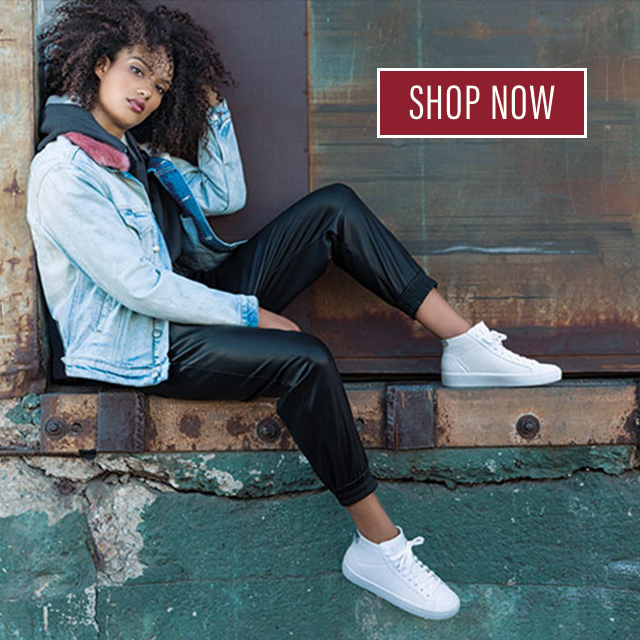 From sporty styles to light up shoes to everything in between there’s a Skechers Kids style for every boy and girl so check out the full collection on skechers.com to find a perfect pair. 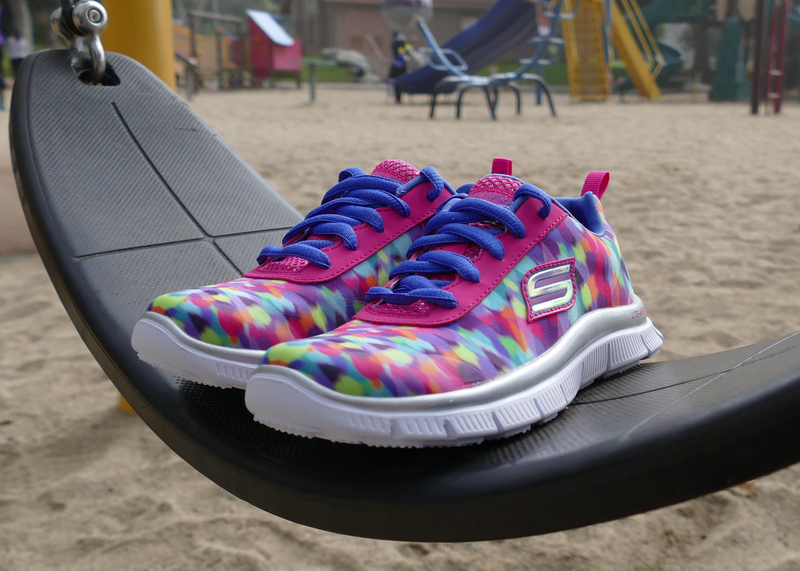 And because we want to make sure you’re excited for spring—even if the cold hasn’t moved away yet…we’re giving away several pairs of Skechers on Monday to ring in the new season! Check our Twitter, Facebook and Instagram pages at NOON PST to learn how to enter! I don’t know if anyone cares or is willing to listen to my comments but here it goes!! I am a mother of a very tall girl, who loves unicorns, rainbow, glitter and sparkling lights!! Every time we go to buy her shoes we go through the same problem! You guys don’t make kids shoes in her size!! I know this shoes are meant for small (normal) kids but what about big kids!! They see all of those cool shoes and have to walk out of the store with more simple plain shoes broken hearted! And I know a few teenagers that would love to buy those shoes as well!! This is a desperate plead with anyone that cares or is willing to hear!! Make the kids shoes also in adult sizes! !